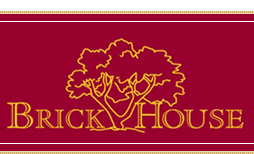 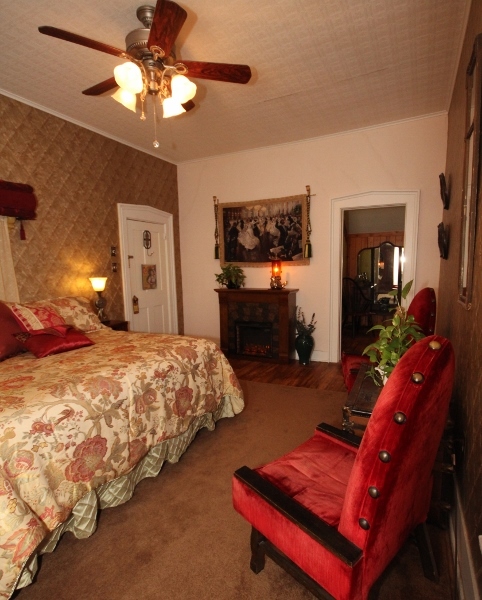 When you come to Brick House, you are personally met and escorted to your guest room. 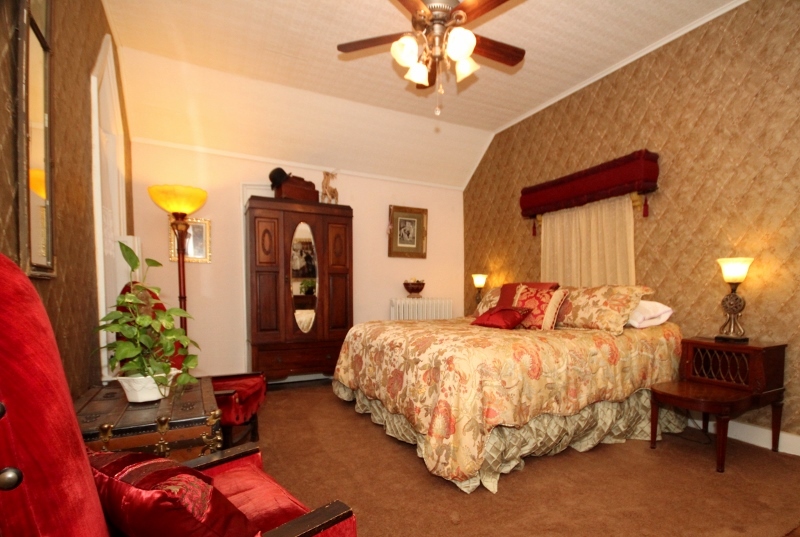 All rooms are non-smoking and each guest room has its own private bath. 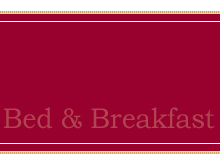 Check availability on our real-time reservation system. 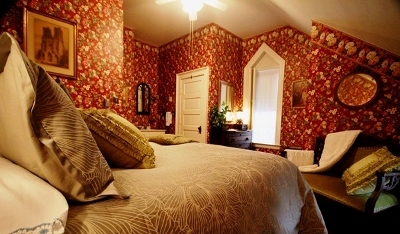 If the room you want reads ‘book’ on the system, it’s yours to reserve on-line or call and we’ll make the reservation with you over the phone. 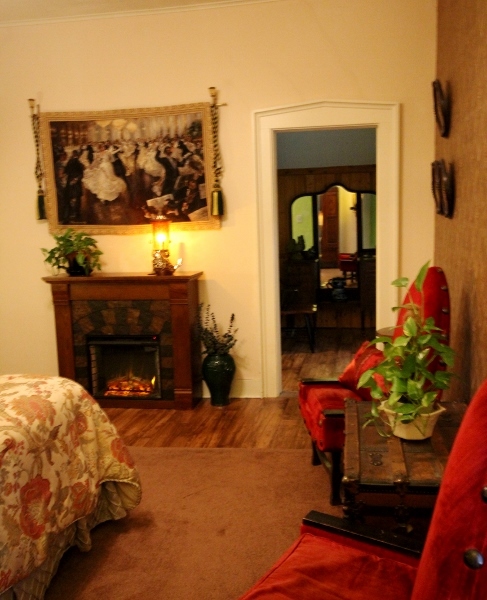 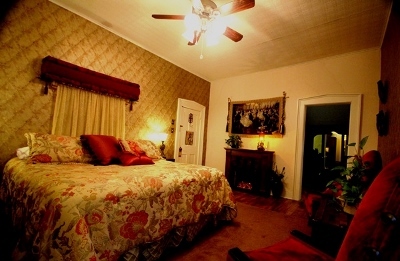 This second floor room honors our local marine and grape history with a warm, inviting décor, a king-size bed, the warmth and glow of an electric fireplace with mantle and a ceiling fan for your comfort, finished with "user-friendly" antiques and old-world charm for your great get-away. 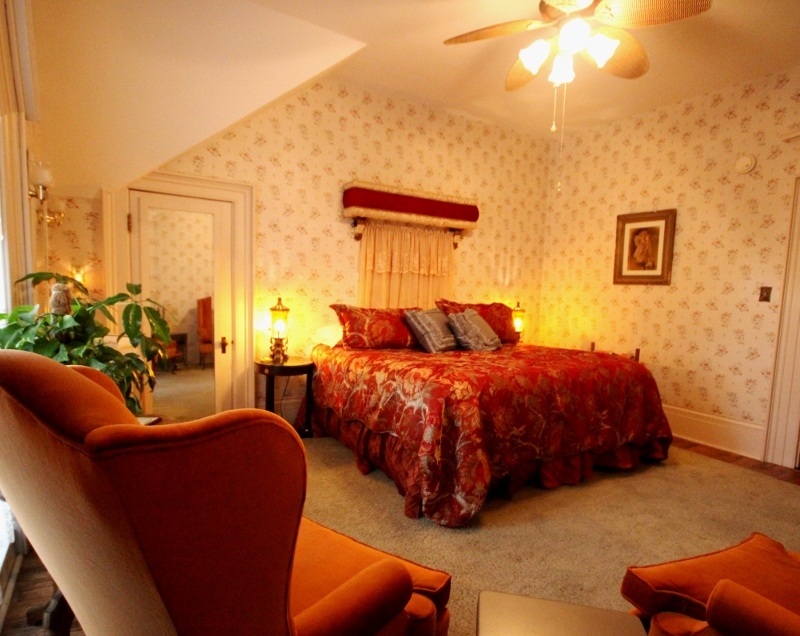 Overlooking our 180+ year-old sugar maple trees, this room offers a wonderful view for every season. 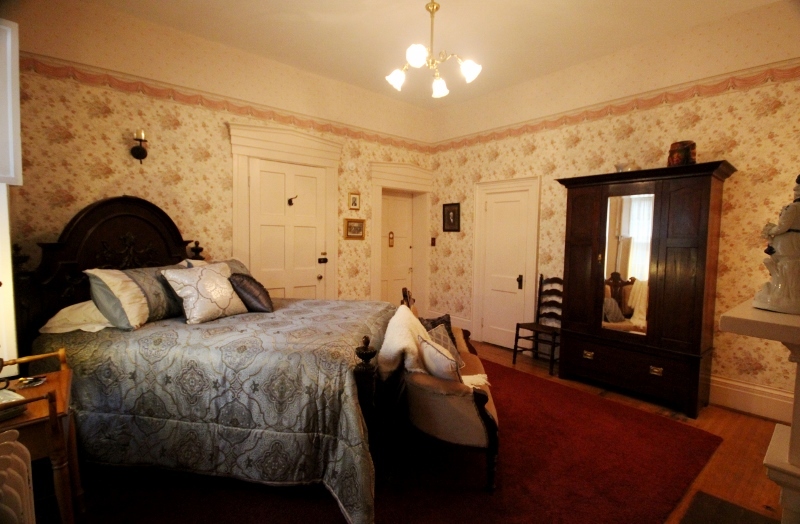 This king-size bed room is balanced with antique furniture, a ceiling fan, and electric wood-fire stove, for personal comfort. 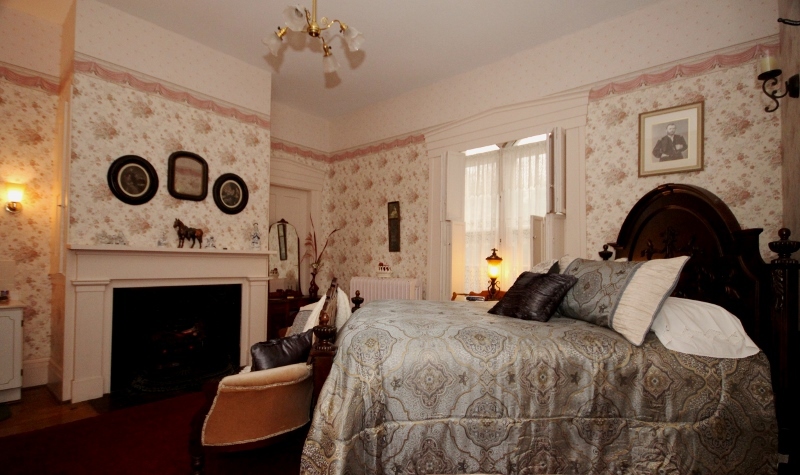 This beautiful floral-décor room has a queen-size bed and antique settee. 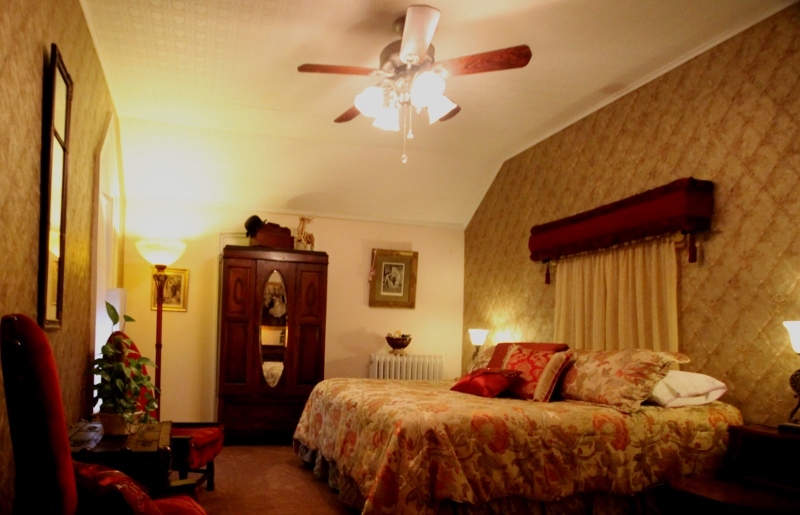 You control the lighting to be bright and cheerful or for an intimate setting. 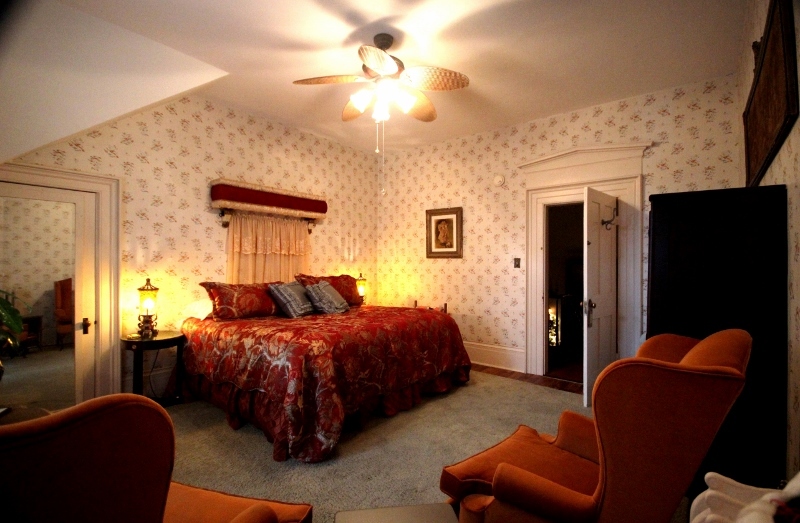 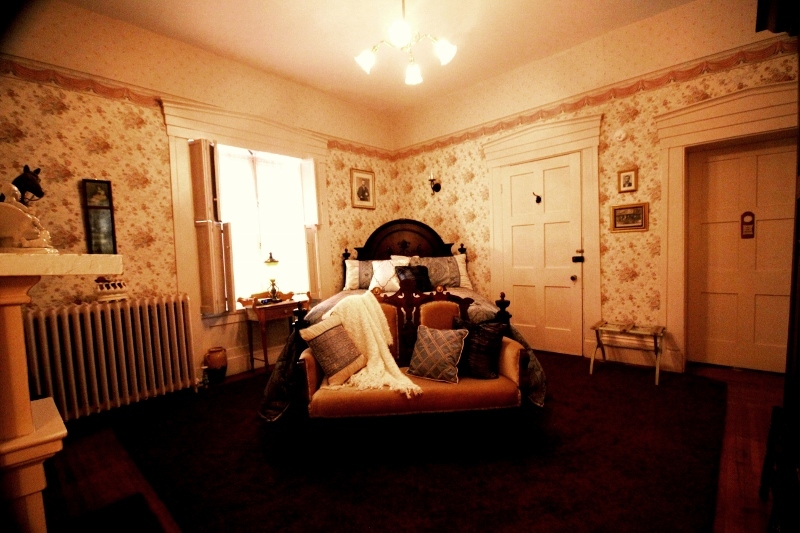 Along with antique furniture, the room has a ceiling fan and separate climate controls for comfort. 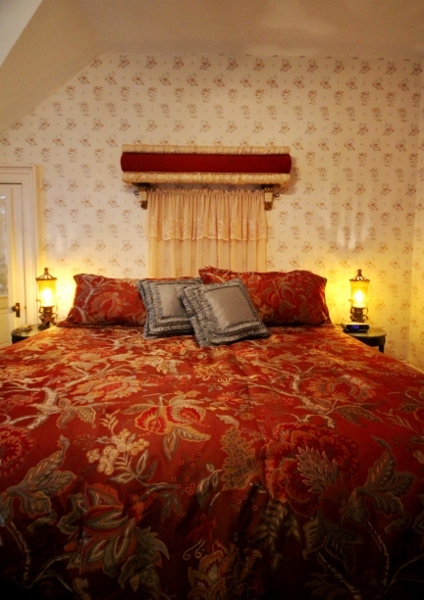 Our first floor room has a beautiful queen-size bed with pillow-top comfort. 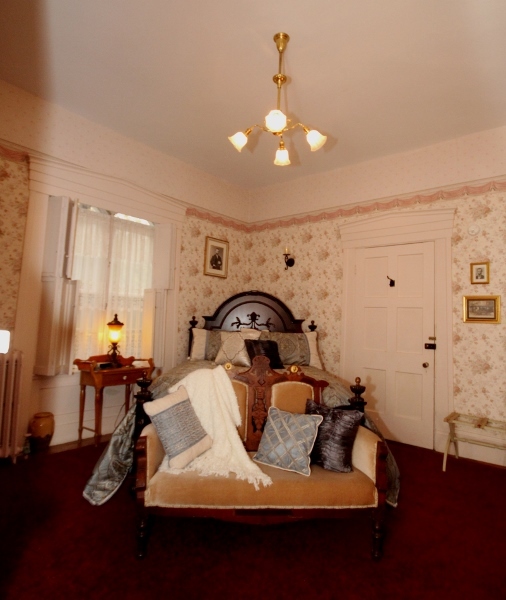 The room proudly displays memorabilia and photographs to reflect our country’s rich heritage. 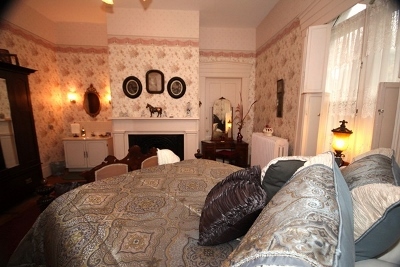 It has an electric fireplace within the original 1860 fireplace box and mantle for year-round ambience. The room has its own entrance from the portico for privacy yet easily accesses the remainder of the house.